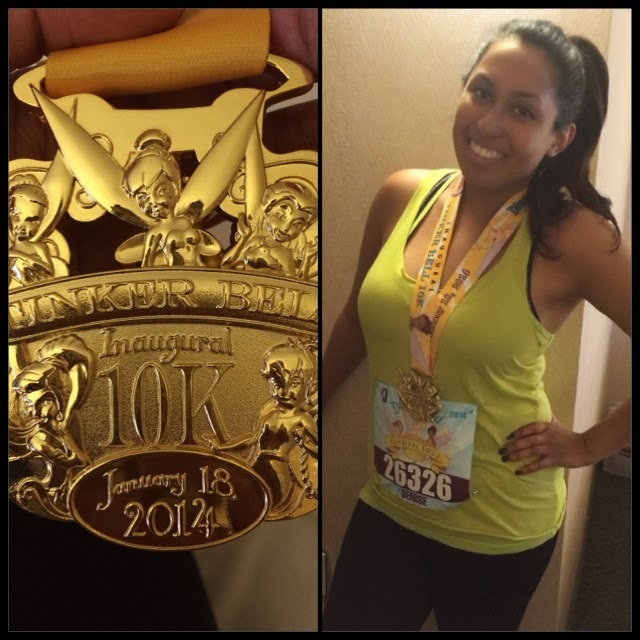 Growing up, I never imagined that I’d be able to call myself a runner. In terms of athleticism and physical activity, I’ve always loved dancing, and I played volleyball and basketball from the 4th through the 8th Grade. Even though I also did track & field for a couple of years (6th & 7th grade), I always preferred the High Jump to any actual running. Running was just never my forte. I’d much rather be spending hours in front of a mirror perfecting my dance techniques. 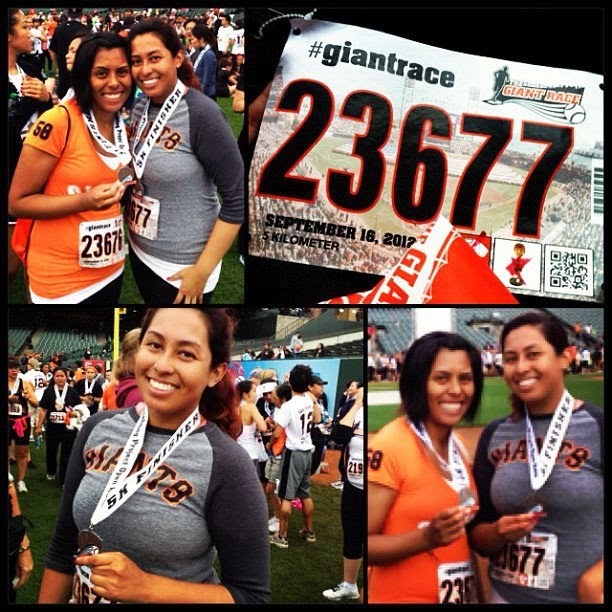 On a whim, I signed up for the GIANT Race in the summer of 2012. 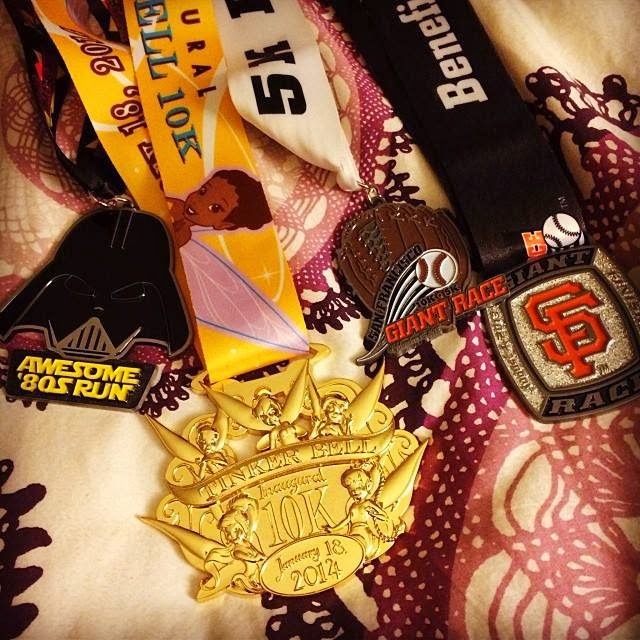 On a quest to live a healthier lifestyle, I decided that a race would be something fun to participate in, and even if I didn’t like it in the end, I’d have a fancy medal to show people. I have several friends and family members who participated in races before, so they all encouraged me, despite my initial hesitation. For those of you who do not know, a 5K is approximately 3.1 miles. 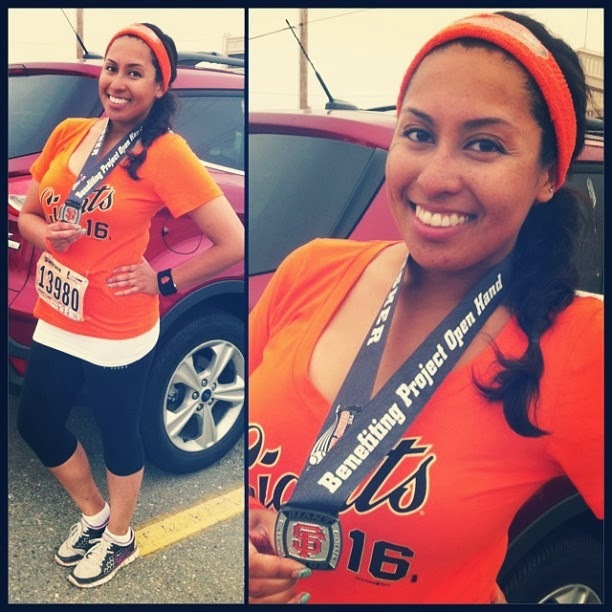 Considering that I hadn’t done much running since high school, I was extremely apprehensive. But I found that once I got out there, my stamina and endurance quickly improved. One easy mile turned into two. Two easy miles turned into three. 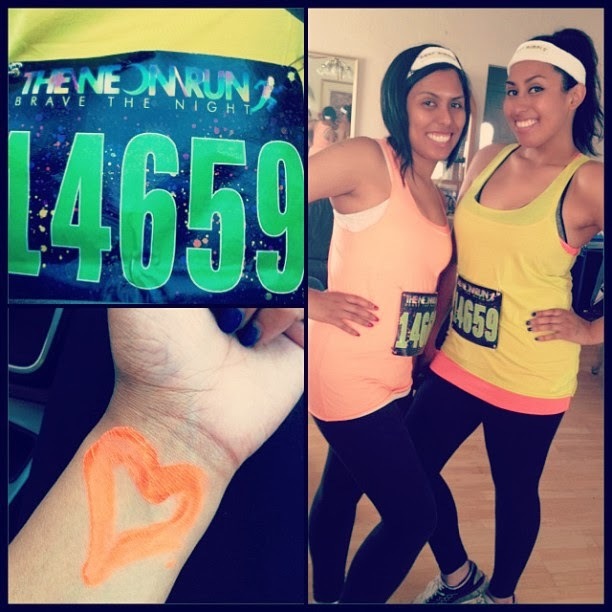 And without fear, I ran my first successful 5K on September 16th, 2012. 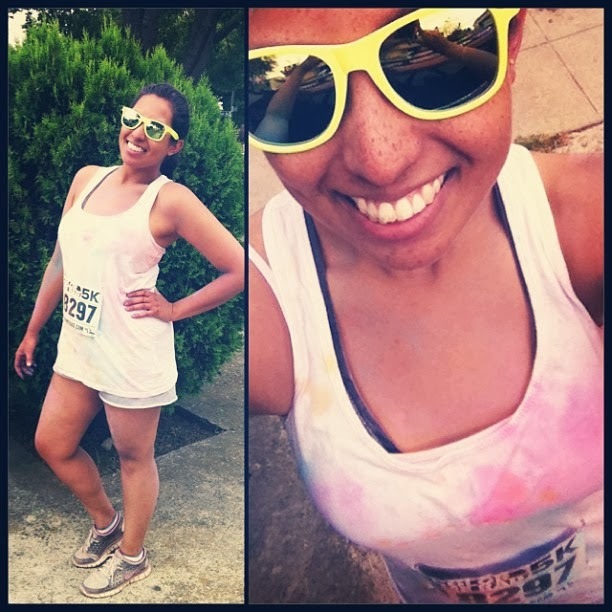 Since then, I’ve successfully ran in 6 more races including: The Neon Run 5K, The GIANT Race 10K, Color Me Rad Run 5K, Dirty Girl Mud Run 5K, Awesome 80s Run 5K, and the Tinker Bell 10K. Are you a runner? What is the furthest distance you’ve ever ran? 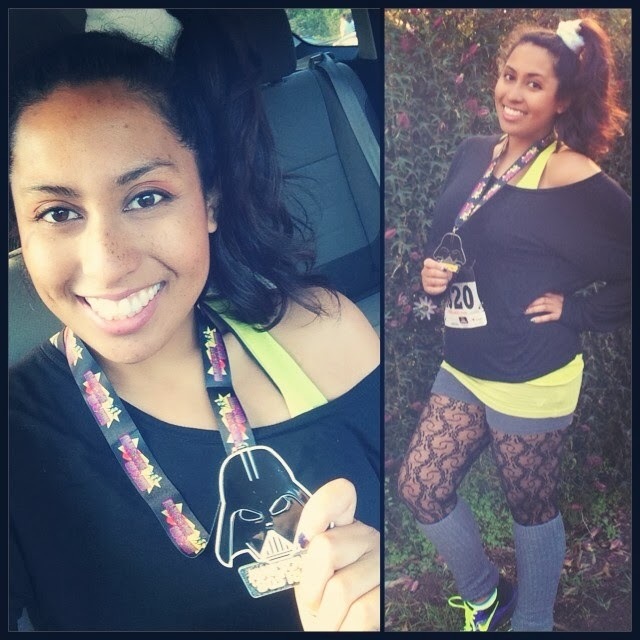 Do you have any fun races in California that you’d recommend? Please leave me a comment, because I’d love to know! Last year, a week before my birthday, when I was 25 about to turn 26, I had my “quarter of a life crisis”. I reached my 3rd year as a bank teller, and I was panicking about the plateau I hit that seemed impossible to move upward from. I had no idea where my career or life was going. Now this year, as I have just turned 27, I am more focused and well on my way to a successful career in the Beauty Industry working with ipsy. Although I’ve remained dedicated to accomplishing my career goals this past year, I found that I don’t take enough time to reflect and appreciate what’s actually in front of me. Not in the simple sense that I Instagram every moment of my life, whether it's my meals or majestic views from my outdoor workouts, but in that I do not embrace life’s moments and opportunities to wander. I am definitely proud of everything I’ve accomplished, but I know that I want to see more and do more with my life. At ipsy, we have a weekly lunch roulette where we are paired with other team members that we may not get the opportunity to interact with on a daily basis. I love how these lunches allow us to get to know each other in a more informal setting. In my last lunch roulette, as we were going around the table telling our “story”, I quickly realized how uneventful my life has been thus far. My co-workers have stories of picking up their lives to move to California or exciting tales of living in other countries, whereas, I was born and raised in the San Francisco Bay Area. Besides a brief period of time, when I moved to Merced, CA for college, I haven’t done much traveling. I’ve always said that I wanted to see the world, to explore and go on adventures whenever possible. I’ve been on a few family vacations to Germany, France, and the Philippines, but I have since developed a wanderlust. I want to experience something new and different. It’s time to leave California and go on a real adventure. I want to see the world: The Great Pyramid of Giza, the Colosseum in Rome, the Great Wall of China, Stonehenge, Machu Picchu, the Taj Mahal, and so much more. I want to rent a glass igloo in Finland and see the Northern Lights. The list goes on and on. Said beautifully in French, “Le monde est un livre et ceux qui ne voyagent pas lire une seule page.” (The world is a book and those who do not travel read only one page.) So far I have only read the first page of my world and my life, but I eagerly look forward to my future adventures. Like the Disney Pixar movie UP, "Adventure's Out There!" It's just up to me to take the next step. Do you have a thirst for travel and adventure? If you could go anywhere in the world, where would you go? In my family, I’ve always been branded as the “smart” one or the “nerd”. Unlike my brother and sister, I always enjoyed school, and I excelled with very little effort on my part. I always had each chapter of my life planned out, because I preferred to constantly be working toward a goal. I actually changed my major quite a few times, with the primary notion that I had to graduate in four years. I ultimately settled on Mathematics, with an emphasis in Economics, thinking that there would be a variety of career paths to take upon graduation. It wasn’t until I was in the workforce that I realized that it didn’t matter how intelligent I was or how good I was at working in a particular field, because if I didn’t enjoy it, I’d still end up unhappy. For three years, I worked as a bank teller, which is much longer than I had ever anticipated. I always thought that with a degree in Economics, I’d simply start out as a teller, work my way up to a banker, then ultimately get into Investment Banking. I quickly discovered that I hated how the banking system worked. We were constantly pressured into meeting impossible Sales and Customer Satisfaction goals, with unethical instruction at times. There were no opportunities for advancement, nor did they offer much guidance on how to move up in the company. Although I could have quit at any time, I needed my paychecks, and being a Realist, I knew that I had to find a new career path to follow before I made any rash decisions. The economy being as it is, many jobs were unavailable and companies wanted vast work experience for entry-level positions. This is what led me to YouTube. I was stuck at a dead-end job without any other opportunities presenting themselves. Out of sheer boredom and curiosity, I took out my sister’s digital camera, stacked a bunch of boxes on top of my desk to act as a tripod, and clicked record. Nonetheless, starting a YouTube Channel was one of the best decisions I’ve ever made. Since starting my channel, I’ve discovered my passion for Beauty, which snowballed into creating this blog and as well as several other Social Media Channels. Soon after, I started my search for a career in the Beauty Industry, with hopes of eventually working in Social Media. This past September of 2013, the stars aligned, and I found my dream job working for ipsy. Not only is it co-founded by #1 Beauty Guru Michelle Phan, but it’s full of wonderful people who want to help me grow, learn, and get to where I want to be in the Beauty Industry. I am so thankful and blessed to have the opportunities that I have now. I don’t even want to imagine how unhappy I would still be if I never left the bank. I want to have a career that I love that still allows me to travel the world one day. With ipsy’s help, I finally feel at ease in my life’s journey. I know that I’m back on track, and I can take the time I need to simply enjoy my life more. How do you see your future? Do you have any particular activities that spark your thoughts? Have any fun endeavors you're working toward? Whatever the future may hold for you… I just want to wish you GOOD LUCK! Last year, instead of having a New Year's resolution, I decided to set more realistic goals for myself that I could work towards throughout the year. This decision was inspired by Nikki Phillippi's "How to Be Happy" January. (You can see her original video here.) Instead of the usual New Year's resolution, I decided to set goals in 5 important areas of my life: Career, Finance, Relationship, Spiritual, and Wellness Goals. Along with these goals, I decided on small tangible steps I could take that would help me achieve them within the year. By using this method, I found that I accomplished a majority of the goals that I had set for myself. In 2013, I managed to find a new job, find an even better job in the Beauty industry, earn a pay raise, gain 1,000 subscribers on YouTube, blog and upload YouTube videos on a regular schedule, have a substantial Savings account, feel closer to my friends and family, live more optimistically, and run my very first 10K. With these amazing accomplishments that I've made last year, I immediately knew that I wanted to do the same thing for 2014. So with that in mind, I'll begin sharing my goals for 2014 with you all. - Speak up during meetings and share my ideas and opinions. Those are my goals for 2014! I'm excited to see what the year will bring, and I'm eager to see what goals I'll be able to accomplish this year. The best part about setting goals for specific areas of your life is how these small tangible steps make your goals more easily attainable. With this method, I can slowly work my way to accomplish them throughout the year. What are some of your goals for 2014? Let me know in a comment below! Many of you already know that I've been incredibly busy with the Holidays. I've wanted to get back into filming, editing, and uploading new videos, but like I've mentioned briefly in a few of my videos, my family has been struggling these past few months. You may have already heard the news if you follow me on Instagram or Twitter. 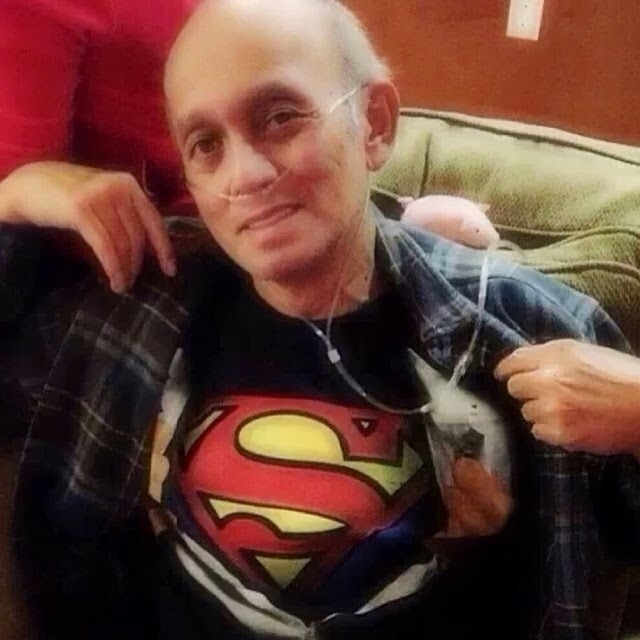 My Ninong (Tagalog for Godfather) Willie has been battling lung cancer for the past 31 years, and he passed away this past Saturday evening on January 11th, 2014. Words can't even begin to explain how my family has been struggling through this difficult time. As we try to comfort one another, all these great memories of him quickly come back to me. Ninong Willie was so silly and always had a great sense of humor. I will always remember the way he liked to walk up next to me tapping my opposite shoulder, in hopes of making me look the wrong way. Growing up I had a special relationship with him compared to my other uncles, because he was also my ninong/godfather. Each year, he would always have a special Christmas present for me separate from my siblings. It was simply a Christmas card sending me his love with a crisp $20 bill inside that I always looked forward to. Ninong Willie was a fighter, and I know that he fought for as long and as hard as he could to stay with us. Being diagnosed with lung cancer, having a lung removed, and undergoing various radiation treatments could not have been easy. He is an inspiration to all of us, and we were so blessed to have him stay with us each and every extra day. Although I didn't spend as much time with him in his last fews days as I would have liked to, I know that he is now at peace. I know he is watching over me and the rest of my family. I know that he is no longer in pain or suffering. I love you Ninong Willie! May you rest in peace with Tito Joleng and Papa, and please send them all my love!